The holidays are coming and people are traveling. I know Peyton and I have several trips planned over the next few weeks. Just thinking about them starts to make me tired! ToGoSpa is going to help me to look my best while on the go. 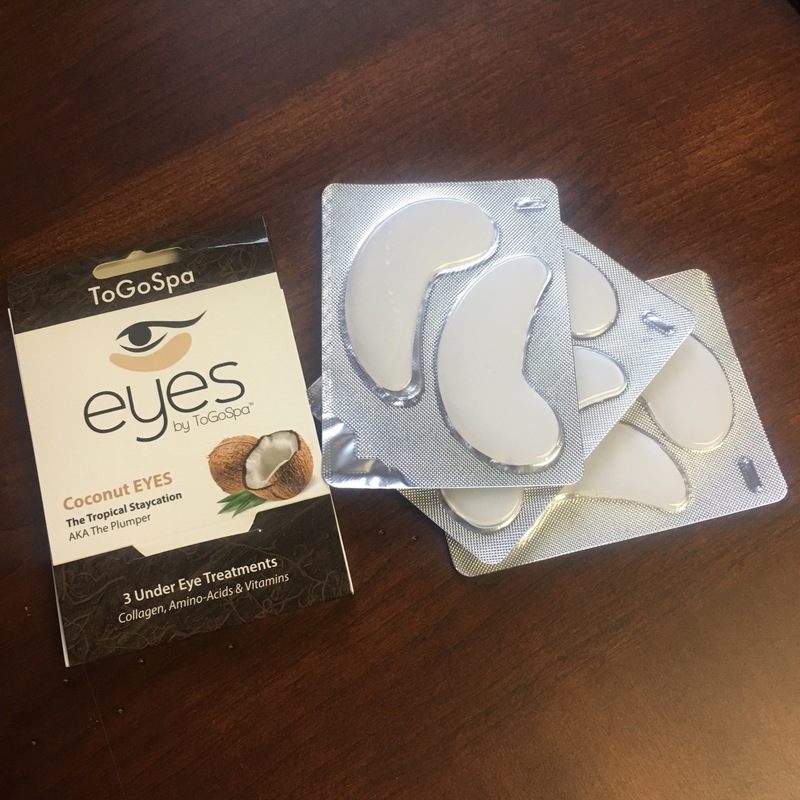 The eyes ToGoSpa – Coconut EYES will help reduce puffiness and combat the effects of general fatigue. As a mom, I am always tired. I swear I stay up 19 hours a day trying to get everything done. Over time, that really starts to take a toll. The first place I notice it is in my face. A little trick is to place these little eye masks in your fridge and chill them, I just store mine in the fridge so I always have a pair ready to go. Then place them on your face, under the eye area for 15-20 minutes. You don’t even have to stay still! You can still move about your routine and keep getting ready. Though, if you do have the time to relax, do it! You’ll enjoy the masks more. After 15-20 minutes, remove the eye masks. Puffiness should have decreased, any dark circles or bags should have diminished and your eyes should look more awake and refreshed. 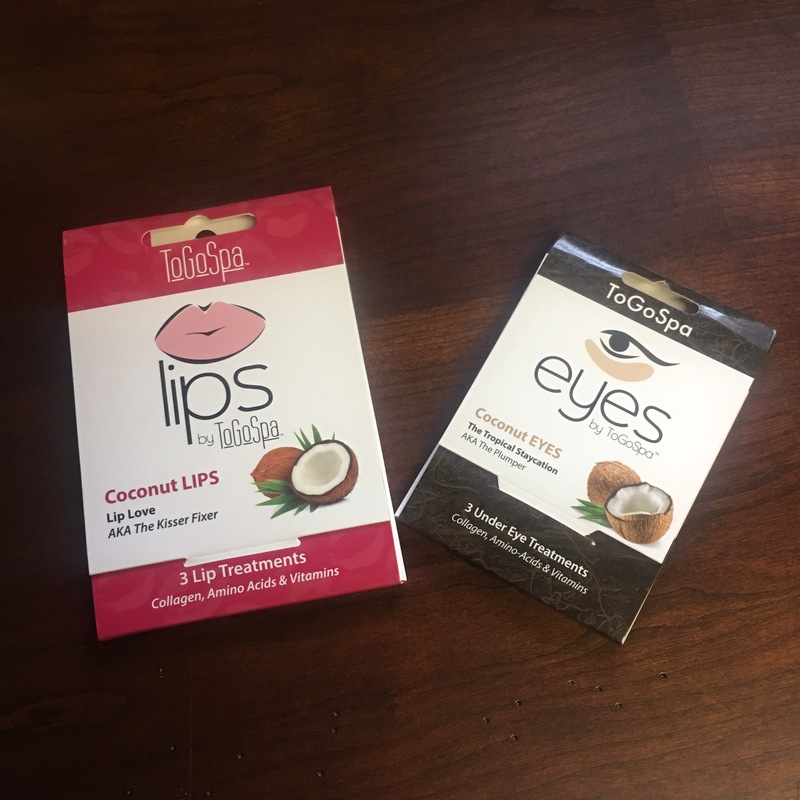 Lips by ToGoSpa is going to come in handy this winter. With harsh winds already arriving and plummeting temperatures I can already feel the dryness in my skin. It’s only going to get worse as the winter rolls in. 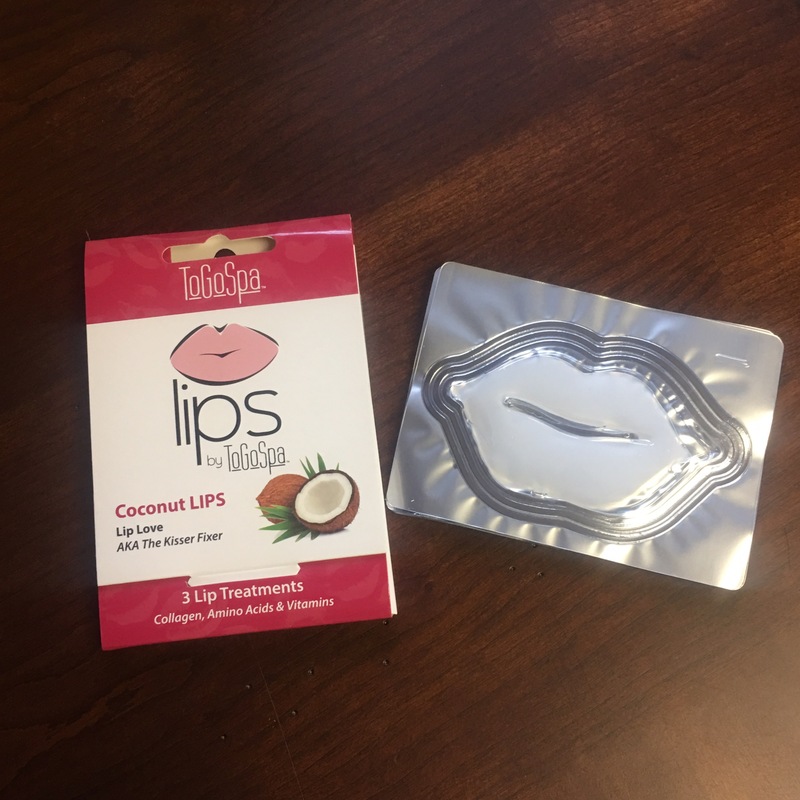 Coconut Lips, aka The Kisser Fixer, will help to hydrate, soften, nourish and plump your lips. Have a holiday party? While you are getting ready apply the lip mask. Let it set for 15-20 minutes and then remove. You’ll see smoother, plumper lips! I like to put the mask on while I am blow drying my hair. That way, when I’m done with my hair the mask is done too! Then I can apply my makeup and head out the door. ToGoSpa has a wide selection of beauty products that can be used on the go or while relaxing. For a busy mom like me, I use them on the go. They also make wonderful stocking stuffer ideas! Or even tuck a set into your Holiday card for a friend.